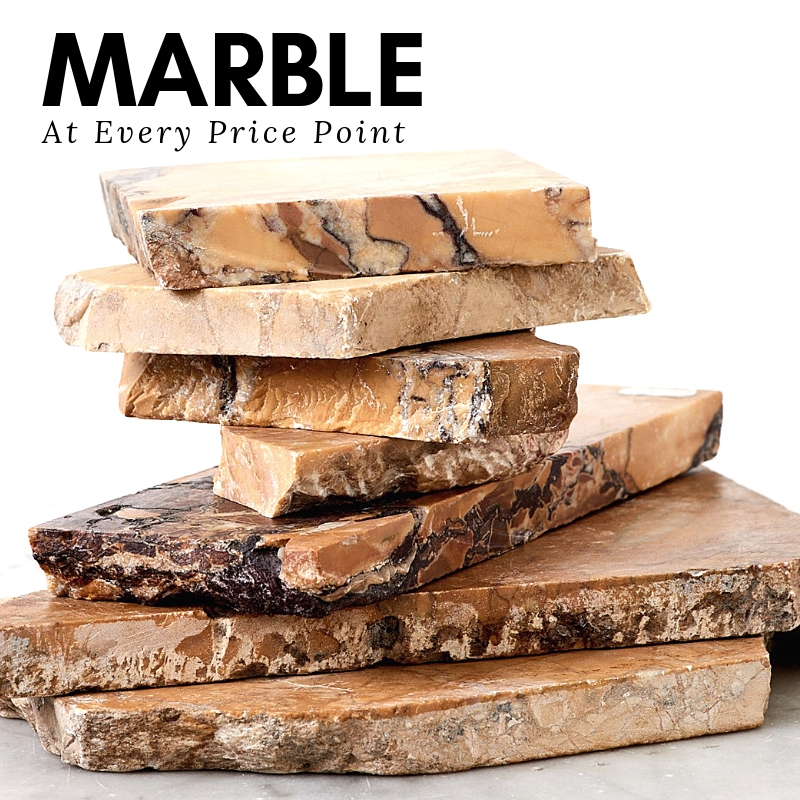 Marble has long been synonymous with opulent interiors however incorporating antique marble into your home needn’t break the bank. If a statuary marble bust, grand chimneypiece or marble colonnade would not be at home with you, there still are a multitude of ways to inoffensively incorporate this luxury material into the most modest dwelling. Verde Antico bookends, £125 per pair. 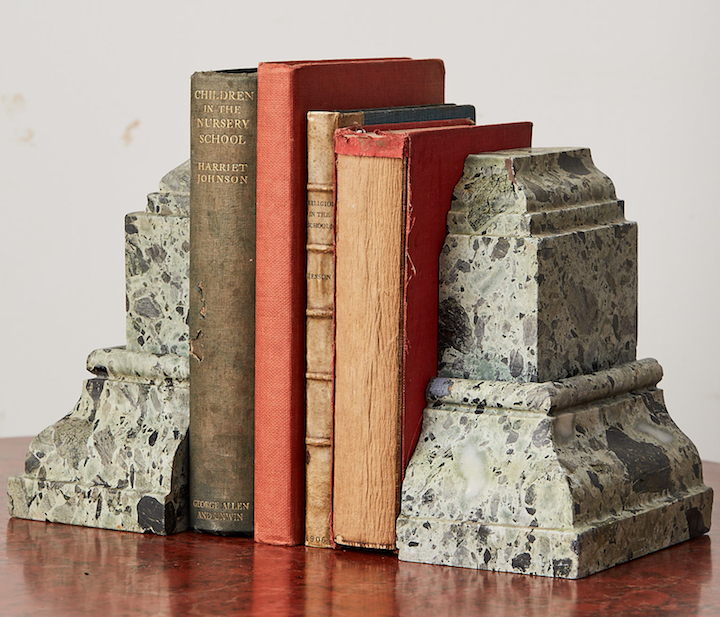 Our marble bookends – salvaged from a damaged chimney piece – are functioning ornaments that will not struggle to contain the most expansive tomes. Pavonazzo cutting boards, £185 per sheet. 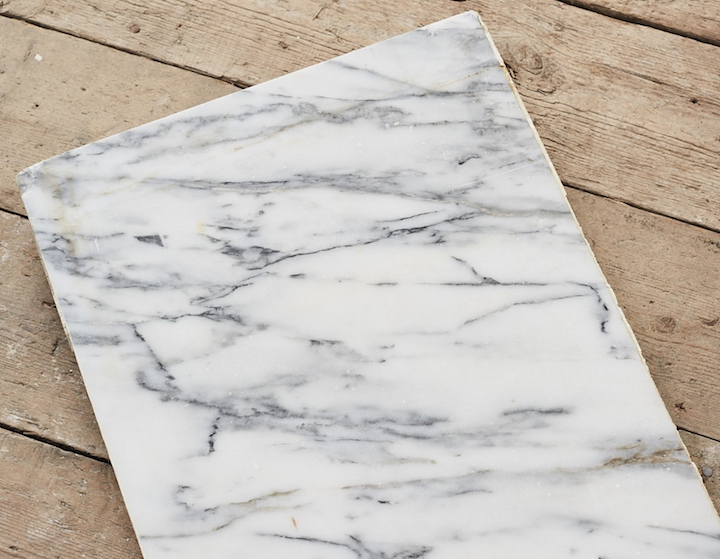 These Pavonazzo marble slabs were counter tops in a central London restaurant chain. We’ve broken them down into more manageable forms but they will forever be exotic and hard wearing. 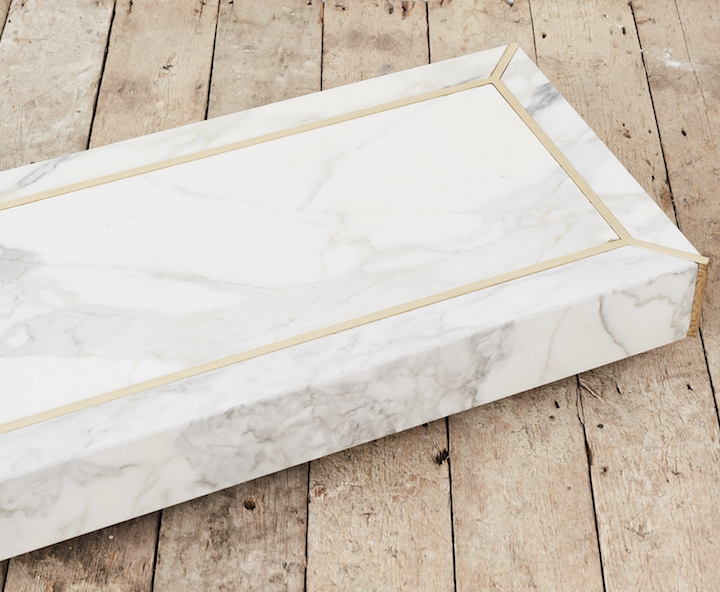 Carrara plinths with brass inlay, £250 each. 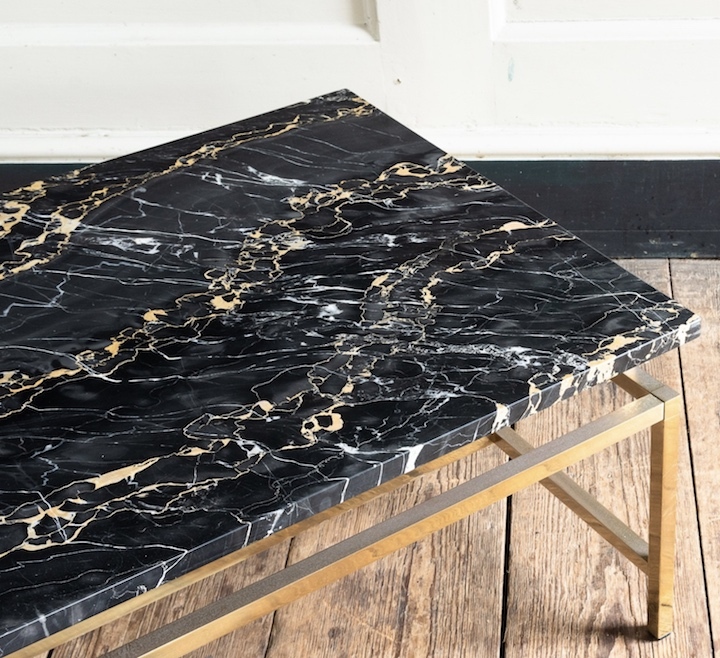 What better way to elevate your aesthetic than elevating your objet with a decadent Carrara marble plinth. This collection of half a dozen plinths was entrusted to LASSCO by a well-known Belgravian haute couture fashion house. This earthy, deep-veined table top will enhance an interior by providing rich, subtle Mediterranean hues, with form so clean you could eat your supper off it. Preferably Manchego and Rioja. A sleek, late-mid century French coffee table is the ultimate in sophistication. 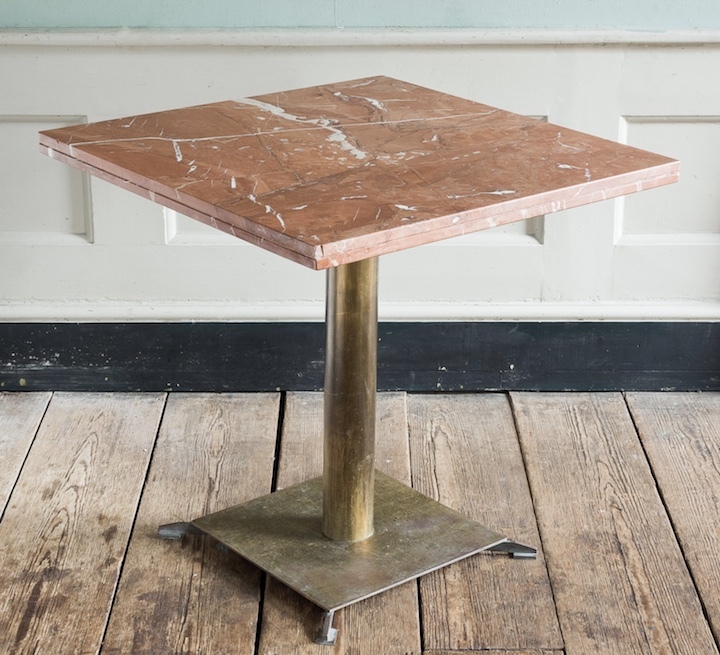 The heavily patinated angular brass frame brings into contrast the ageless, solid Portoro top.